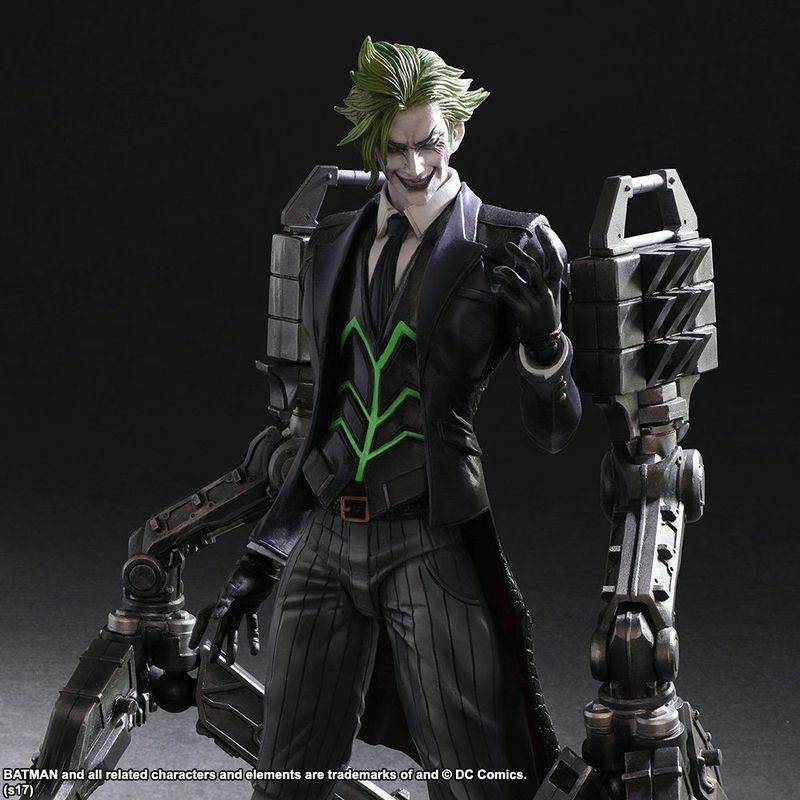 Over the last few years, Square Enix’s Tetsuya Nomura has taken to reimagining DC characters and turning them into popular Play Arts action figures. 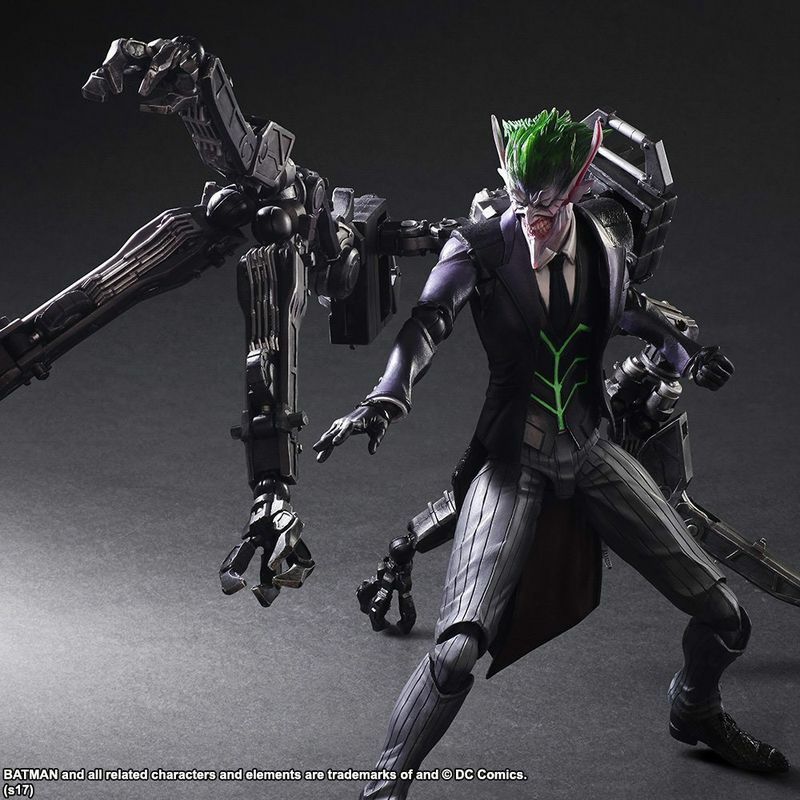 Now the Final Fantasy designer has given his take the Clown Prince of Crime, DC’s Joker. 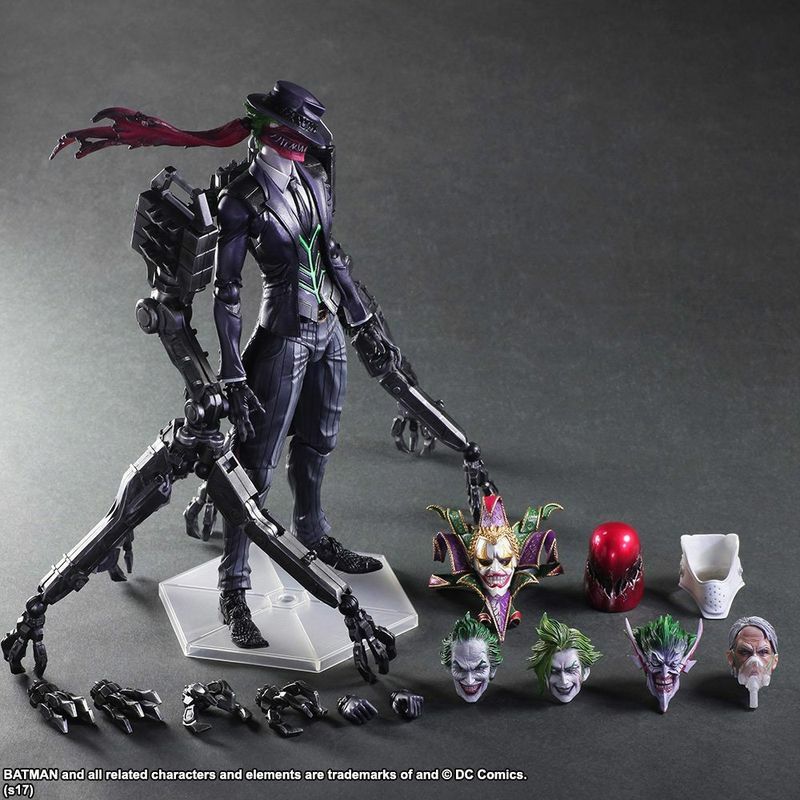 Square Enix’s DC Universe Variant Play Arts Kai line is growing by one this September when a new Joker figurine by Nomura is released. 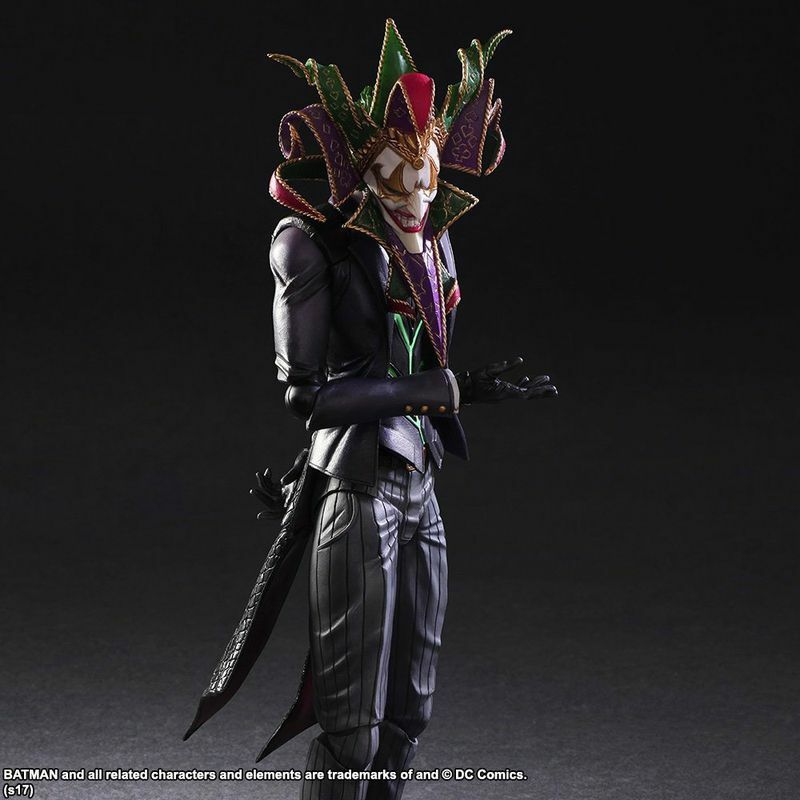 In keeping with his previous designs on the DC Universe, the new figure shows us what Joker might look like in the Final Fantasy world. These days, just about everyone has taken the opportunity of redesigning the character. 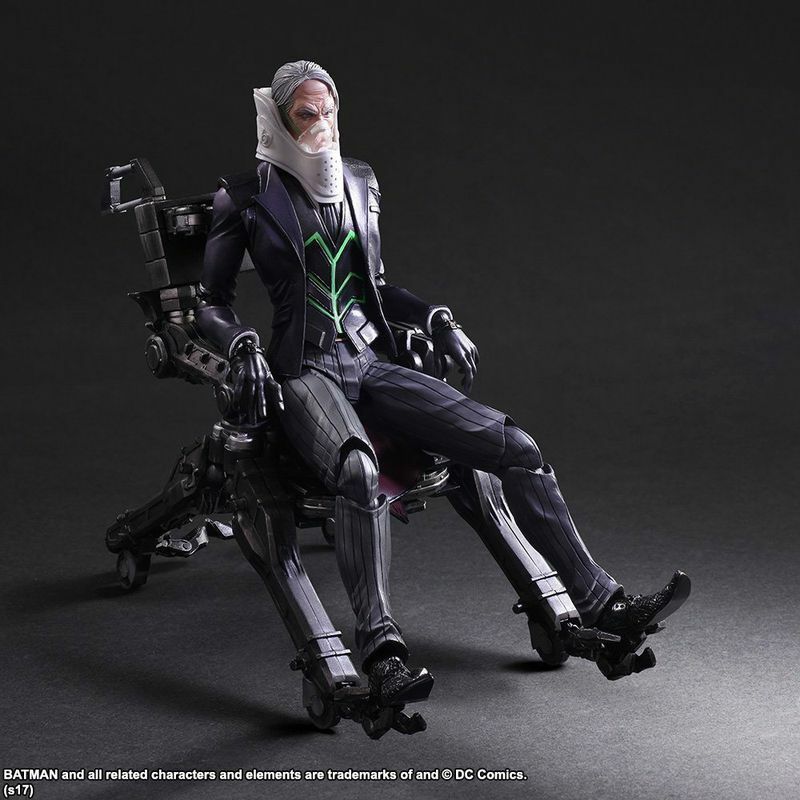 Nolan’s Batman films, Suicide Squad and, now, Injustice 2 have all give their own unique spin on the popular villain. 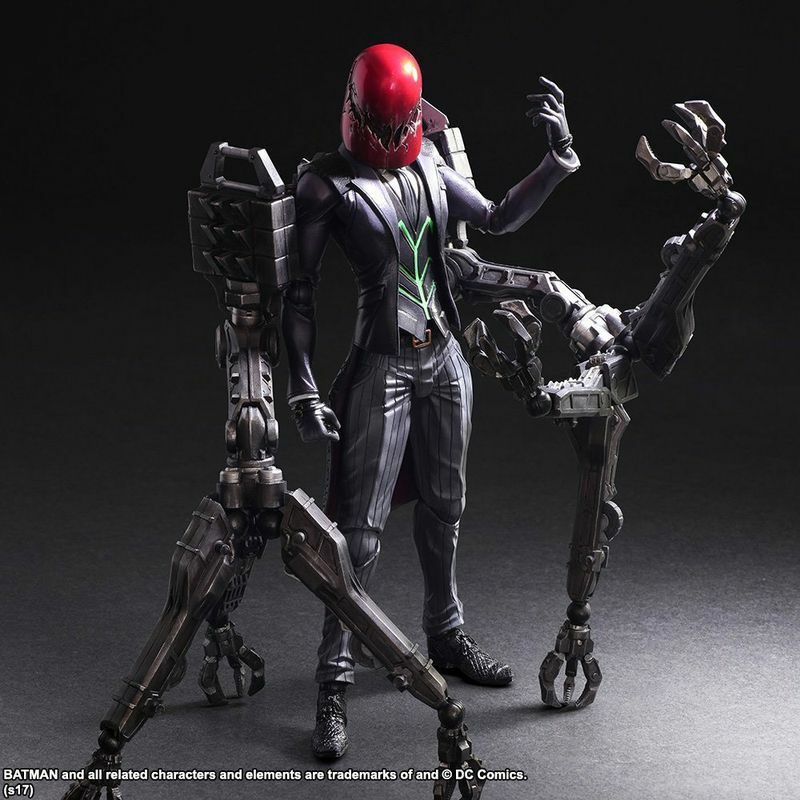 It only made sense that Tetsuya Nomura did too. 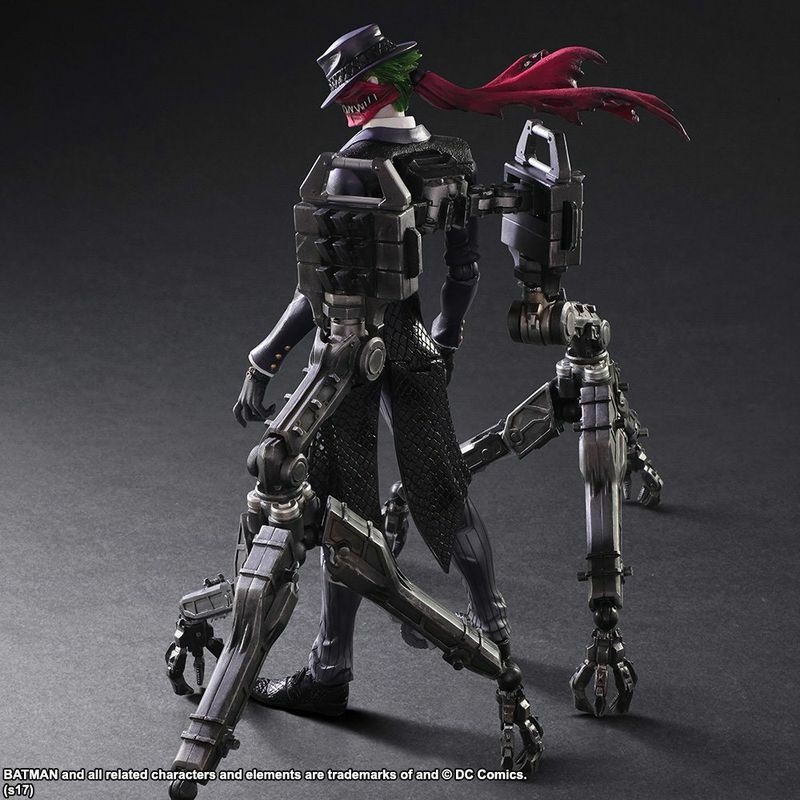 It seems the designer had more than one idea for the reimagining and offers several interchangeable parts, including different head variations. 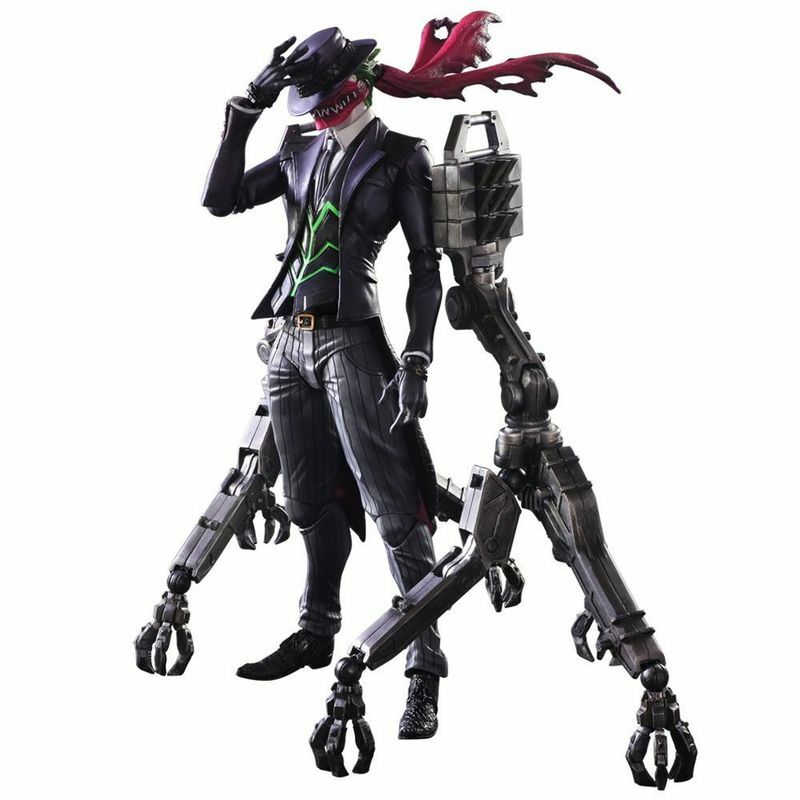 What’s also surprising is that the design imagines a version of Joker that is confined to an exoskeleton-wheelchair that transforms into an extra set of legs. 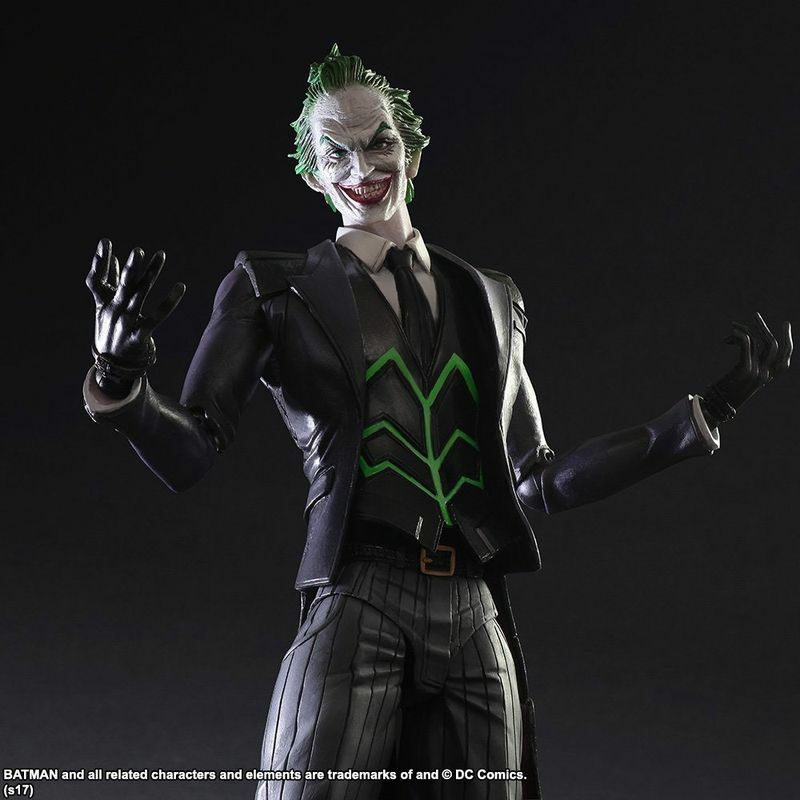 Some of the interpretations are rather strange, while others feel more like the traditional Joker. 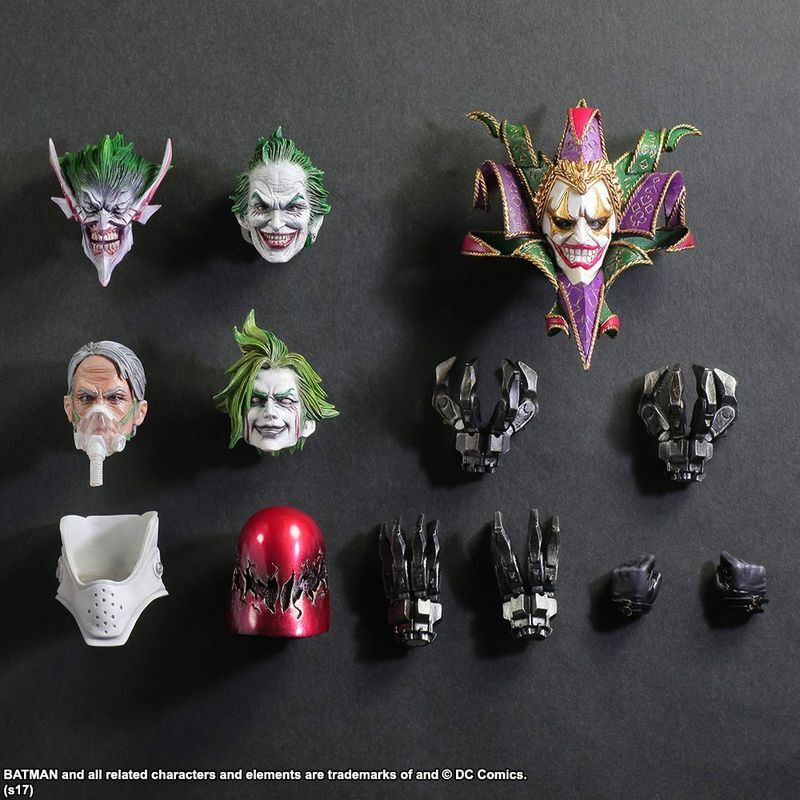 Those who love collecting these will be happy to know that there’s a Harley Quinn figure on the way, as well.